Want to win a $500 gift card? Enter here! We're Threads 4 Thought, and we give a sh*t about sustainability. We give a sh*t about our planet, our people, and our customers. 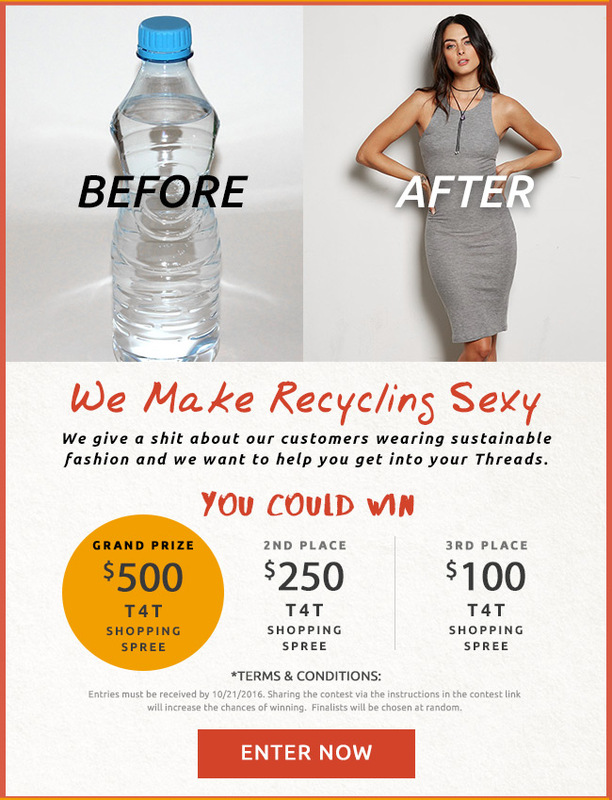 We're showing how we give a sh*t about YOU by offering a $500 Threads 4 Thought shopping spree to the grand prize winner! We're also giving away a $200 and $100 T4T gift card to our runners up! Want to win? All you have to do is fill in your information below, and share with your friends and family! The more you share, the more chances you have to win!